SPECIAL REPORT: Burgers in Europe! JT checks out some burgers in Germany and France to see how they stack up! When we heard about a challenge-burger that a Pittsburgh bistro serves, our guy, Eric, stepped up to the plate. Was he victorious or just another victim? Check out all of the juicy details! The 2010 National Hamburger Festival! Are you kidding? In Akron, Ohio? Of course we went! Burgerguyz writer, Anthony, takes a trip to Geneva on-the-Lake to check out the burgers at Eddie’s! We went out to catch a ballgame and couldn’t resist reviewing the burgers! The 2012 National Hamburger Festival! Burgerguyz invades Akron to judge the entries at the National Hamburger Festival! The Martini Brothers Challenge Burger. From it’s meager beginnings to a hamburger empire. 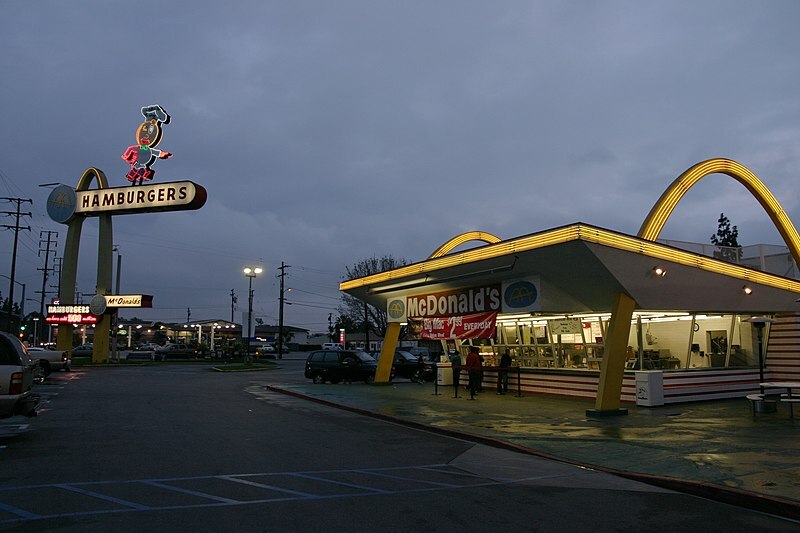 Check out this brief overview of the history of McDonald’s. JT does a little research on the beginnings of the greatest culinary invention of all time! Thanks! We’ll be checking them out!